Who doesn’t love pancakes? 🙂 With Pancake day quickly approaching, we though we would share a delicious pancake recipe with all of you with a twist! Raw Cacao powder is packed with antioxidants, magnesium, iron and calcium and it also has a lovely, delicious taste! 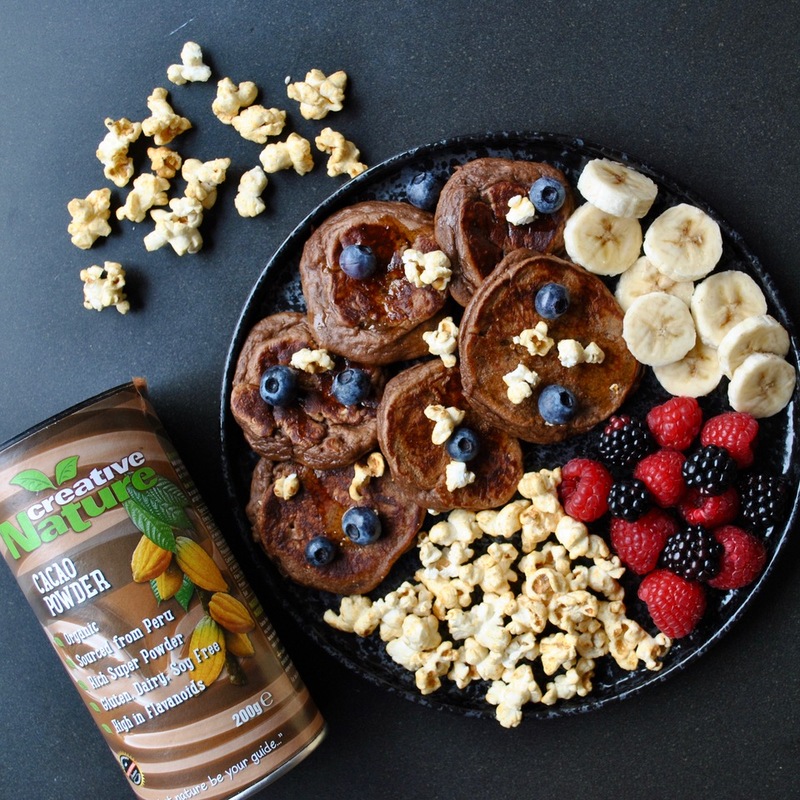 If you’re a fan of chocolate, then these pancakes are a healthier option to your traditional chocolate-chip pancakes! Cook up a batch, share them with your friends and family on a weekend and enjoy with loads of fruit and berries for a delicious and balanced breakfast or brunch! Combine all ingredients in a blender and food processor or blend until smooth. Heat the coconut oil in a frying pan and take two tablespoons of mixture on a medium heat for about 2 minutes until bubbles appear on the top of the pancake. Flip and cook the other side for 1 minute. Repeat with the rest of the batter. Serve hot with fresh berries and an extra drizzle of date nectar. This recipe was sent to us by Eli Brecher!